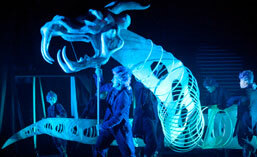 One of the best ways of experiencing our puppets is in the Theater, where the puppets come alive in front of your eyes. We have worked on several major Television projects the last 20 years! What can we do for you? Experts in “Puppology” – We give live to our Puppets! 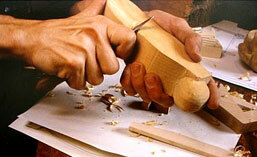 We offer Master-Classes, workshops, seminars and lectures about puppet making. What does Worlds of Puppets stand for? Nothing can replace the intimacy between performer and audience, and the medium of the Puppet as the communicational link between them. Something extraordinary seems to take place in a successful Puppet show. 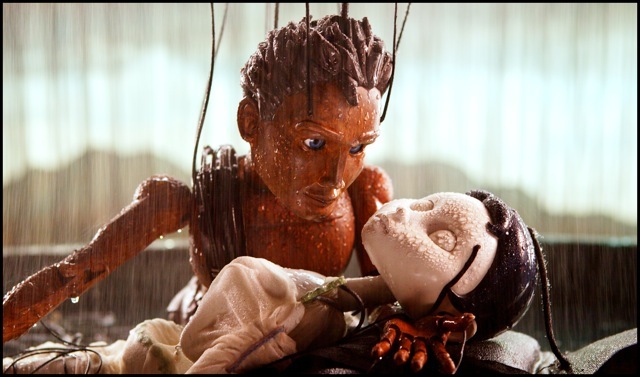 Focusing on Theater, Bernd returned to the movies in 2003, as the Puppet Master for the epic Marionette-movie Strings. The techniques developed for, and the experience gained from these and other TV related projects have led Figura and his trusted associates to engage in yet another ground braking adventure. Television can bring the wonderful world of puppets towards a larger audience, which might otherwise never have a chance to be exposed to the art of Puppetry and Theater. 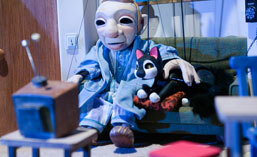 Bernd Ogrodnik has created and operated Puppets for a variety of commercials, TV spots and one more episode.